Theremidi Orchestra (TO) is an audiovisual DIY community initiated by participants of the Theremini and Teremidi physical interface workshop, organised by Ljudmila – Ljubljana Digital Media Lab in May 2011.Rather than a subject, TO is a verb, an ongoing workshop of noise and drone production. 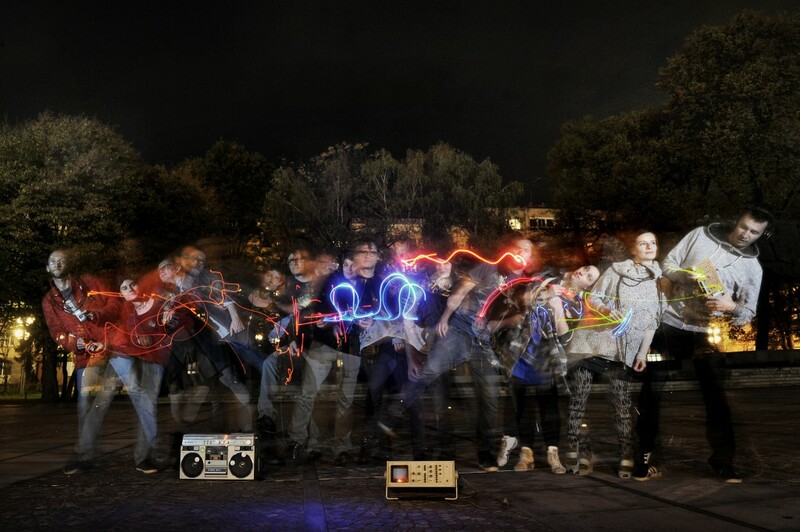 This hands-on electro noise ensemble exists in the present continuous, while referring to the history of electronic music. TO has a DIY/DIWO approach in making music and sound experiments, developing its own instruments based on open-source electronic circuits. Currently TO consists of nine active members, coming from different professional backgrounds. Theremidi Orchestra is a process of mutual understanding and solving problems in a horizontal manner. The process of production involves experimenting with sound outputs, mutual composition of music scores, shared responsibilities for individual parts of the process, etc. 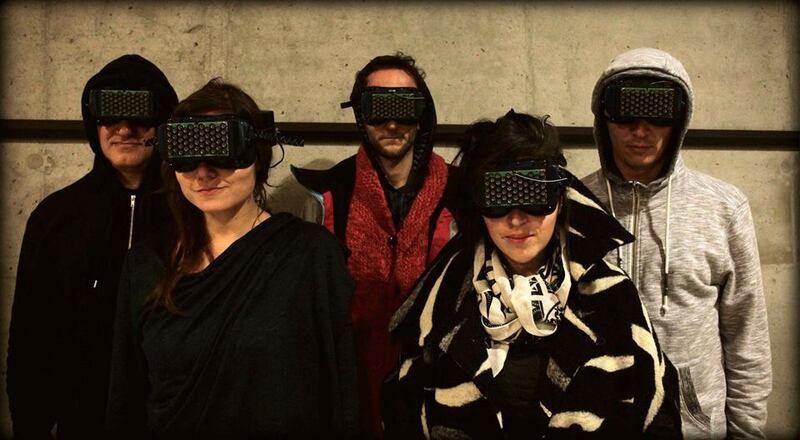 Thus far, the orchestra performed, exhibited and held workshops at over thirty festivals and exhibitions such as: Eyebeam in New York; Maker Fair in New York; Piksel Festival in Bergen Norway; LiWoLi Festival in Linz, Austria; PoolLoop in Zürich, Switzerland; U3: Triennial of Contemporary Art, Museum of Contemporary Art in Ljubljana, Slovenia, to name just a few. 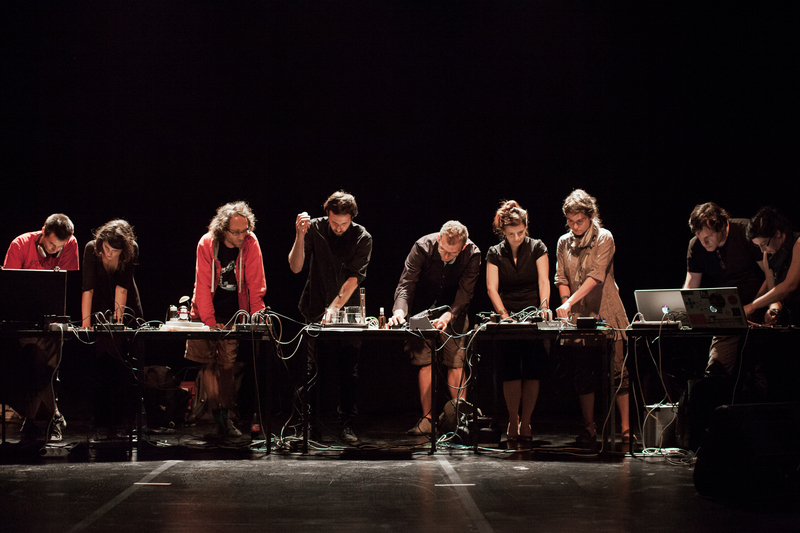 Currently active members of the Theremidi Orchestra are: Dušan Zidar, Ida Hiršenfelder, Dare Pejić, Luka Frelih, Tina Dolinšek, Robertina Šebjanič, Tilen Sepić, Simon Bergoč, Saša Spačal. Theremidi Orchestra all stars: Ida Hiršenfelder, Dare Pejić, Tina Dolinšek, Borut Savski, Robertina Šebjanič, Isac Petruzzi, Saša Spačal, Matic Urbanija, Dušan Zidar, Ian Soroka, Luka Frelih, Tilen Sepič and Simon Bergoč. More about Theremidi Orchestra performances, workshops, exhibitions and devices at Theremidi orchestra one pager at Ljudmila, soundcloud or FB.